“My staff told me not to say ‘this is a very moving show’,” Adam D. Weinberg, Alice Pratt Brown Director of the Whitney Museum of American Art, jokes at the opening of the museum’s latest exhibit Calder: Hypermobility. We’re here at the premiere of the exhibit which features assorted works, some never before seen, of the late artist Alexander Calder (1898-1976). Calder is the American artist best known for his kinetic sculptures and mobiles. 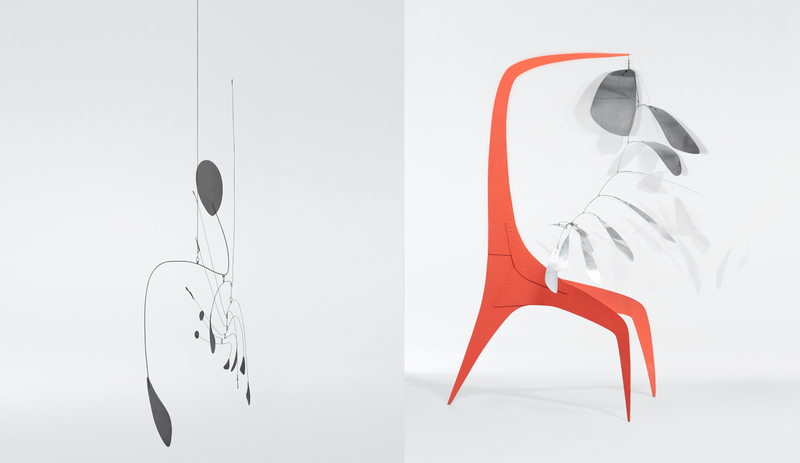 “Just as one can compose colors, so one can compose motion,” Calder once said. Using this quote as a touchstone, the Whitney has set out to display Calder’s work as it was originally intended: in motion. The museum has scheduled daily activations of the works at one and two hour intervals throughout the day. This is all made possible thanks to a collaboration with the Calder Foundation and its president Alexander S. C. Rower, who is also the grandson of the artist. Mr. Rower, better known as “Sandy,” is on hand to give his own remarks. In addition to exhibiting Calder’s work, the Whitney has organized an expansive series of performances and events designed to bring contemporary artists into dialogue with the sculptor. 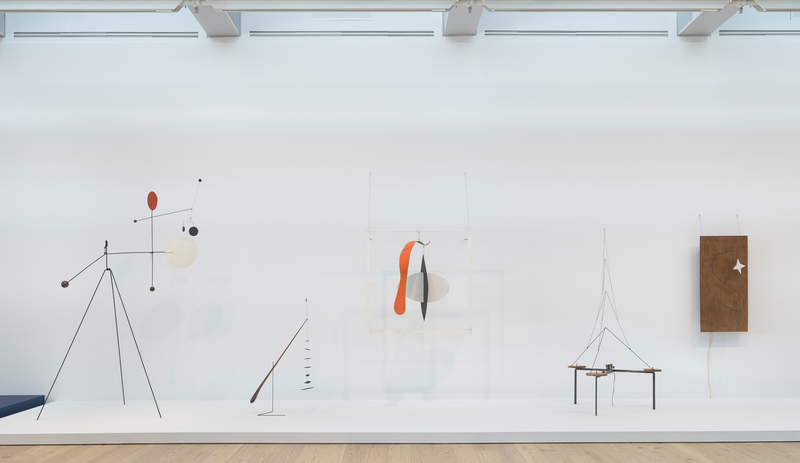 “We were interested in people whose practice might lend itself to responding to some of the aspects of Calder’s work [by] thinking about abstract shapes, or thinking about his relationship to sound and music,” explains Greta Hartenstein, Senior Curatorial Assistant. She tells us about artist Christian Marclay. 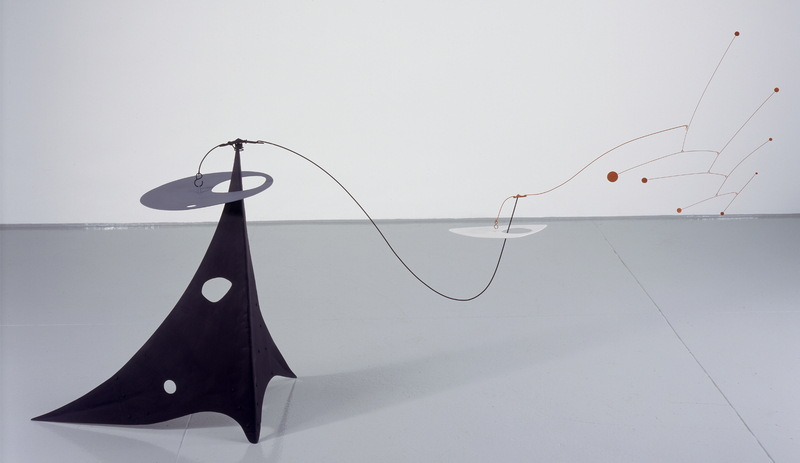 “He’s doing a week-long performance [that engages with] Calder’s Small Sphere and Heavy Sphere, [a sculpture in which] a weighted ball moves around and hits bottles and other objects on the ground.” It creates a score, she explains, and Marclay’s practice involves making scores and inviting musicians to respond to them. “Marclay will activate the sculpture, and then he’s invited [cellist] Okkyung Lee to respond with his cello. Marclay’s also adding some of his own objects to [the sculpture] and then removing them, to add different sound elements.” Small Sphere and Heavy Spherewill also be activated for intimate audiences on a timed schedule throughout the week of Marclay’s residency in July. 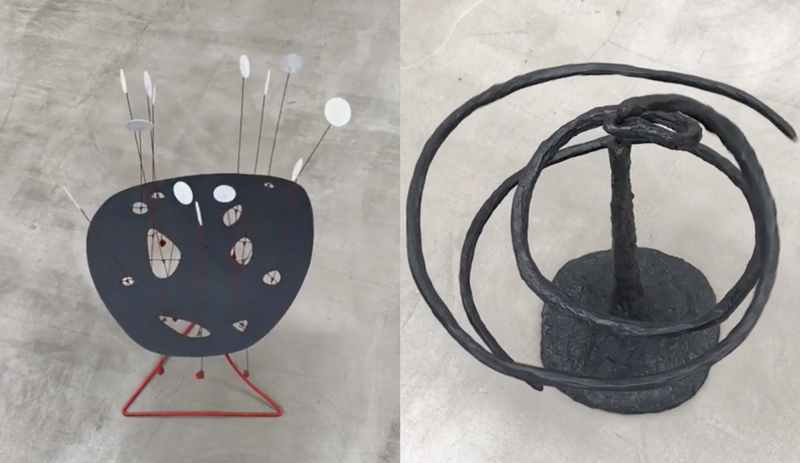 Other artists, all with aspects of sound and motion in their work, will be on hand at the Whitney over the next few months exhibiting and performing their own responses to Calder’s work. In August, Jack Quartet, a New York–based string quartet, will perform musical compositions in the gallery alongside the artwork that will draw connections between Calder and composers Earle Brown, John Cage, Morton Feldman, and others. In September, experimental composer and musician Arto Lindsay will host an event focusing on the noisemakers and rattles Calder created after his visits to Brazil in the 1940s. Additionally, musician Jim O’Rourke created an original composition that will be used as a “sound walk,” with elements of jazz, modern composition, and field recordings, that will play in the gallery. 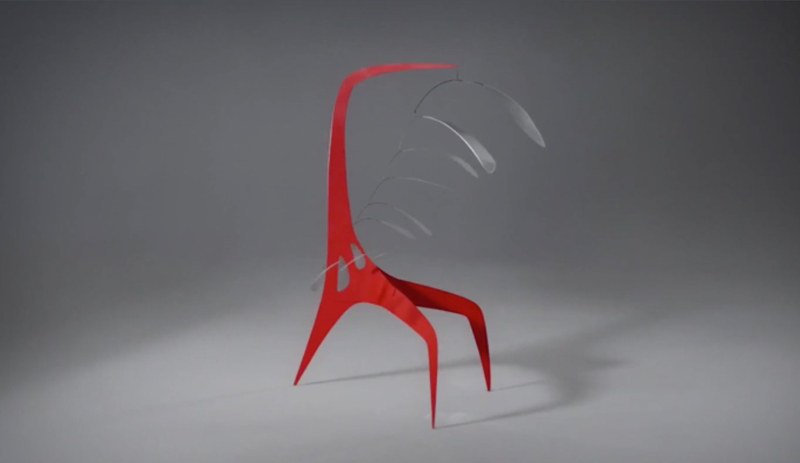 For a full listing of artists and performances, as well as more details on Calder: Hypermobility, head to whitney.org.